NEWTOWN, Conn. — Wildfires have many causes, and the National Shooting Sports Foundation is urging shooters and hunters to not be one of them. 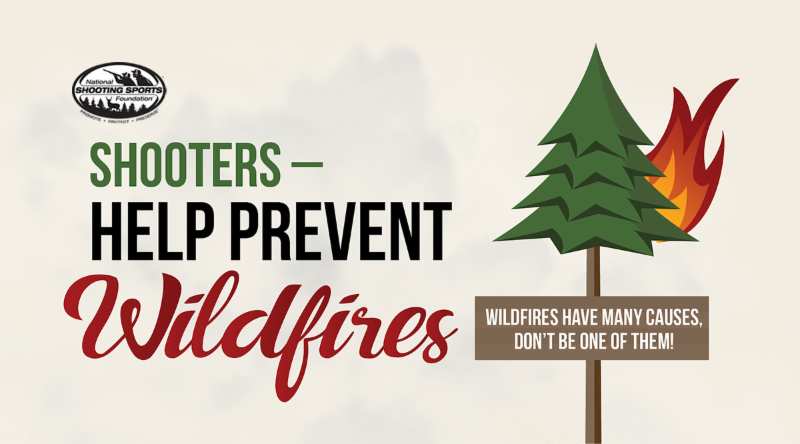 NSSF’s “Help Prevent Wildfires” infographic contains sobering facts about the scale and costs of wildfires, noting that 90 percent of all wildfires are human-caused — accounting for more than 60,000 per year. Wildfires threaten animal and human life and burn millions of acres land. Fighting wildfires is dangerous work, and the costs of suppressing wildfires is staggering — more than $2 billion in 2017. We often think of the largest, most destructive wildfires taking place in the arid landscapes of the West, but as the infographic points out, the southern and eastern parts of the United States have a large number of wildfires as well.